Patrolman Toby Brown was shot and killed by a suspect as the man was being placed into a patrol car near the intersection of Vespucius Street and Second Avenue. The incident occurred in a parked radio cruiser as three officers sought to arrest two men accused of molesting several victims on Second Avenue. As one of the suspects resisted arrest and being placed into the patrol car, he drew .45 caliber handgun and began firing, striking Patrolman Brown in the chest and head, and a second officer in the chest. The third officer on the scene was able to return fire, fatally wounding the man in the head. Patrolman Brown was pronounced dead upon arrival at the hospital. 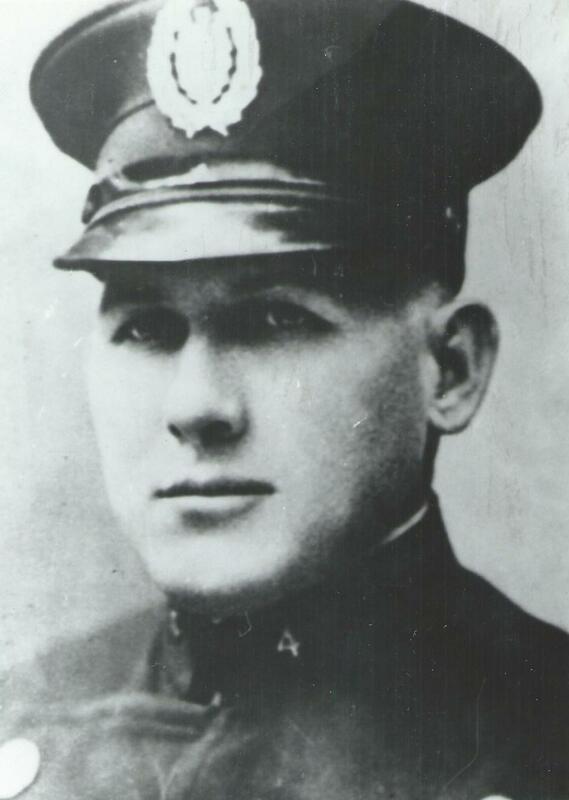 Patrolman Brown had served with the Pittsburgh Police Department for 14 years and had previously served with the United States Army in World War I. He was survived by his wife, daughter, and two sons. One of Patrolman Brown's sons, a grandson, and a great-grandson all served in law enforcement. On today, the 75th anniversary of your death I would just like to say thank you for your service and sacrifice-not just for your Community but for our Country as well when you served in the U.S. Army during WW I. And to your Family and loved ones, I wish to extend my deepest sympathy.